Theft law in Maryland includes many classifications and they are not often clear unless you are familiar with the law. Speaking with an attorney who is knowledgeable in these types of offenses in Maryland is the best thing to do if you have been charged with this crime. What are the Classifications of this Offense? Many of the laws are dependent on the word “knowingly”. When you knowingly take or keep something from someone, it is considered stealing in Maryland. So what does knowingly include? There are a couple of different meanings according to the law. If you are intentionally depriving someone of the use of their property, you are knowingly doing so. If you are aware that something is likely to have been stolen or you are fairly certain that it was stolen this is considered knowingly taking the item. If someone approaches you in a parking lot and offers to sell you a brand new flat screen television for fifty dollars, it is very likely that it was stolen. If you take possession of something that you know belongs to someone else, you knowingly took the item. What are the Types of Theft and Penalties in Maryland? Petty theft is generally decided on the value of the item that was stolen. In Maryland if the value of the item is $100 or less, the law considers it a petty offense. It is a misdemeanor and the punishment if found guilty can be as much as 90 days in jail and/or as much as $500 in fines. Misdemeanor theft is another type. If the property is valued between $100 and $1,000, a guilty verdict could result in as much as 18 months jail time and/or a fine of up to $500. Felony theft occurs when the property taken is valued at $1,000 or more. For property valued between $1,000 but less than $10,000, the penalty can be as much as 10 years prison time and/or a fine of up to $10,000. Felony theft of property valued between $10,000 and $100,000 carries a heavier penalty. The prison time can be up to 15 years and/or a fine of as much as $15,000. Felony theft that involves property valued over $100,000 is punishable by as much as 25 years in prison and/or a fine of up to $25,000. In addition to incarceration and fines, a conviction will also carry the condition of paying restitution to the victim. The damage that a conviction for this offense can inflict on your reputation can be devastating. A criminal record can cost you a job and even affect your credit when it comes to being approved for housing. The ramifications of this offense on your record are often far-reaching. This conviction speaks volumes about your morals and many employers would rather hire someone with a clean record. A criminal lawyer may be able to help particularly if you are charged with a felony by negotiating an agreement to reduce the charges. What are the Best Defenses? Depending on the facts of each case, a good defense may keep you from serving jail or prison time and can save a lot of money on fines. One defense is that the property or item belongs to the person accused of stealing it. Rather than just stating that you believed it was yours, you will need to submit proof of why you thought so. Evidence that supports your claim will go a long way in proving your innocence. A common defense is that the property was not actually stolen. It was just borrowed. If you return the property it may not stop the charges against you, but it may help when it comes to the negotiation of a deal. The burden of proof is on you so you will need evidence that supports your defense. It is possible that you forgot to return the item that was borrowed. The prosecution would have to show proof that you never intended to return it in order to convict you of this crime. Another possible defense to stealing is that you were intoxicated when you took the property. The intoxication could include medication that you were prescribed. The law specifies that a person must be able to “form the required intent to steal”. If you were not able to do so, the charges could be dropped. If you can show proof that you took something while under the influence because you thought it belonged to you, this is a good defense that may work. The law can be very confusing and this is exactly why you need an experienced theft attorney. 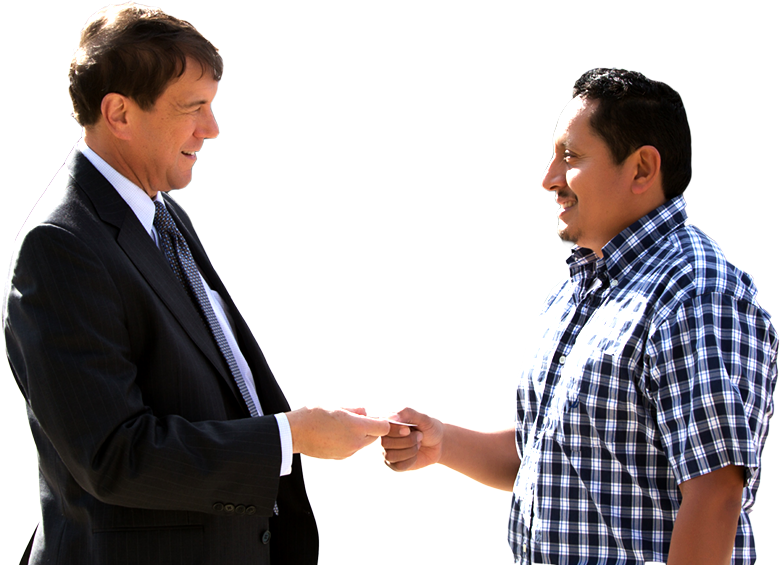 Leon Geller is an experienced attorney who has more than 25 years of experience. He will thoroughly investigate your situation and offer you the best advice on how to handle your case at an affordable price. 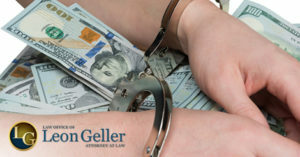 If you are facing an arrest for theft, call a criminal defense lawyer at the Rockville Law Office of Leon Geller. Next post: When Should You Accept a Plea Bargain in a Criminal Case?